In college, independence, fun activities, and new friendships abound. But if you have attention deficit disorder (ADD), these new opportunities also present new challenges. To adjust to college life, you'll need to learn to harness your disorder in new ways in order to plan your time effectively, become a successful student, make friends, and take advantage of everything campus life has to offer. 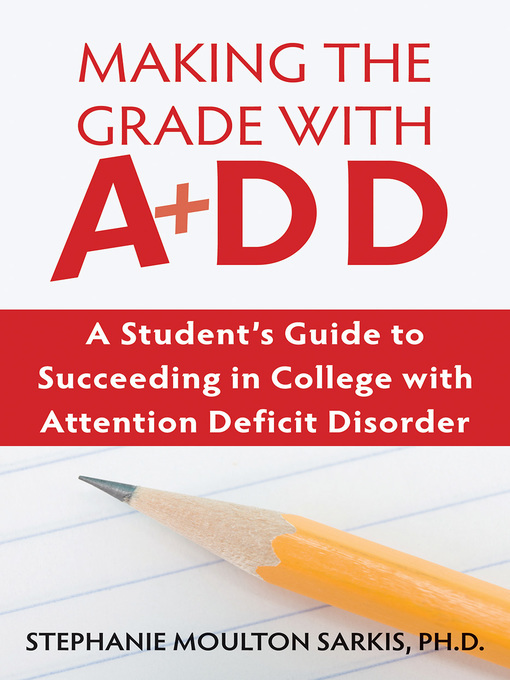 Written by a licensed mental health counselor who has ADD herself, this guide will be a valuable resource through your college years and beyond. Visit the author at her web site: www.stephaniesarkis.com.